Company Name yaosun tape co.,ltd. 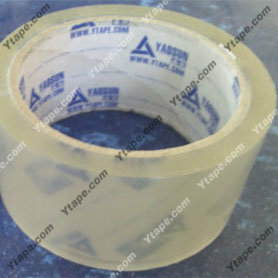 founded in 1998 is a modern enterprise specializing in the development,manufacture and sales of adhesive tape.Our company has always focused on the coating cloth technology and won the universal recognition of the personnel among the circle. We have advanced automatic production equipment and specialized technicians.Moreover,our comany carries out ISO management with an annual output of 1,800,000 boxes for market.Therefore,we are the mainly corporations of the adhesive tapes in China.Our products have stable and reliable quality with strong adhesive glue.